Is a bug just a bug, or is there more to the world of bugs than meets the eye? 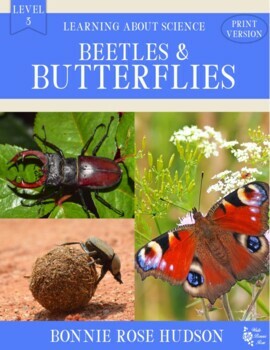 Help students discover the fascinating world of beetles, moths, and butterflies in this life science unit. 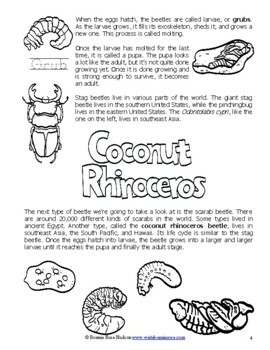 More than two dozen beetle species are explored including what makes them unique and some basic information on how to identify many of them. 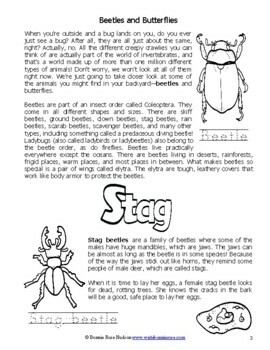 A review of the life cycle of a beetle is also included. Students then discover some of the differences between moths and butterflies, learn about four species of moths, and more than a dozen species of butterflies. Students can personalize this book by coloring the illustrations and tracing the key words in print in the space provided. Incorporate some fun and handwriting practice into science. A review activity sheet with answer key is also included. 29 pages total.